Matching games are fun for preschoolers and kindergarteners especially when they are processing new information. Kids can start with what they already know and work through a process of elimination if there are any aspects they are unsure of. 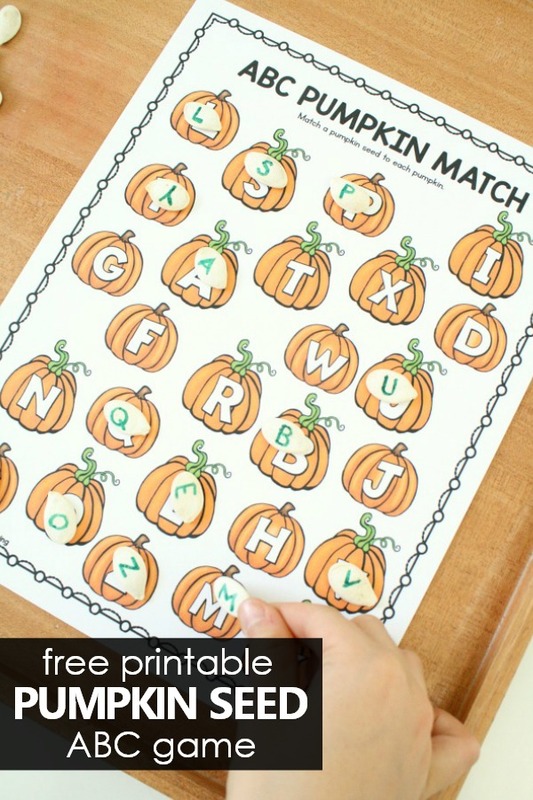 This free printable Pumpkin Letter Matching ABC Game is a quick prep activity you can set up during your fall theme, pumpkin activities or Halloween theme activities. 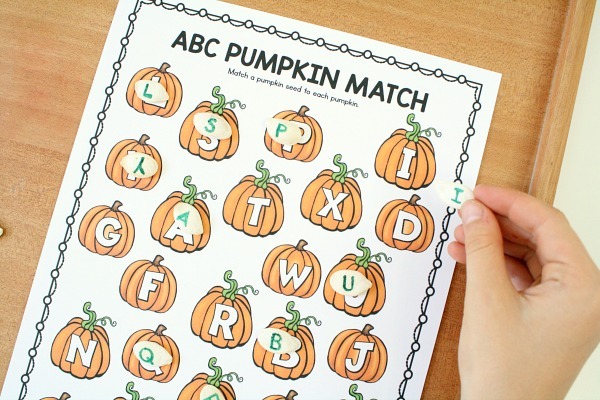 Use it for independent work time, small groups, or literacy centers…whatever works for you! In this short video you can see the pages included in the free printable ABC game and see some of the ways we’ve been using it to practice letter matching. When possible I prefer to use manipulatives that make printables more hands-on. For this ABC game you have options…of course! You could use dried pumpkin seeds. Simply grab a Sharpie and write the letters on them. Letter beads also work great! Here we have a wooden set of uppercase letters. You could also use lowercase letter beads depending on the focus of the activity. 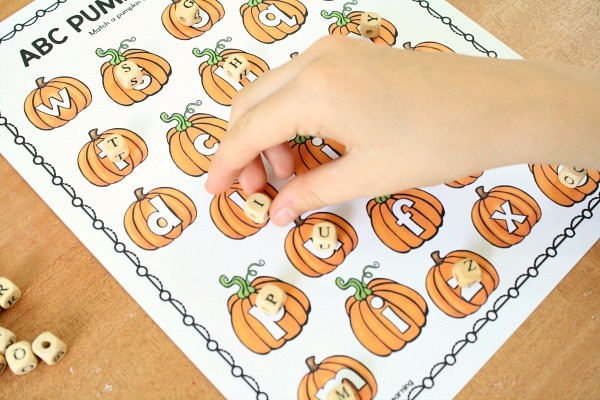 We’ve also included optional printable pumpkin seeds with letters on them if you prefer those. No matter which manipulative you choose you’re adding in an extra layer of fine motor practice by using them! 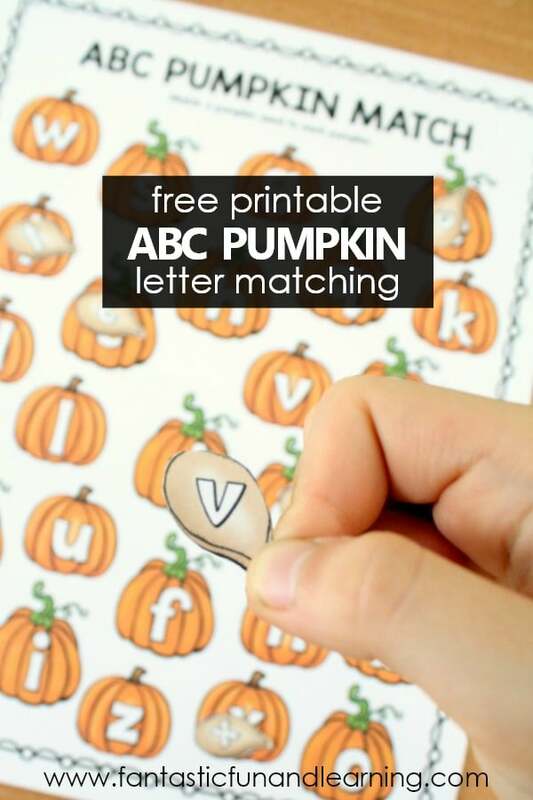 The free printable includes ABC game mats for both uppercase letters and lowercase letters, so you can tailor the game to individual student needs. 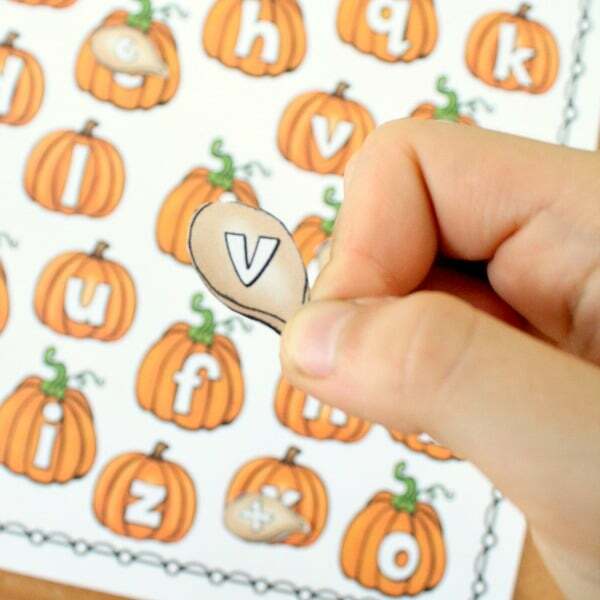 Here we are matching uppercase pumpkin seeds with uppercase letters on the game mat. In this example we’re matching uppercase letter beads to lowercase letters on the game mat. And here we’re matching the lowercase printable seeds to the lowercase game mat. 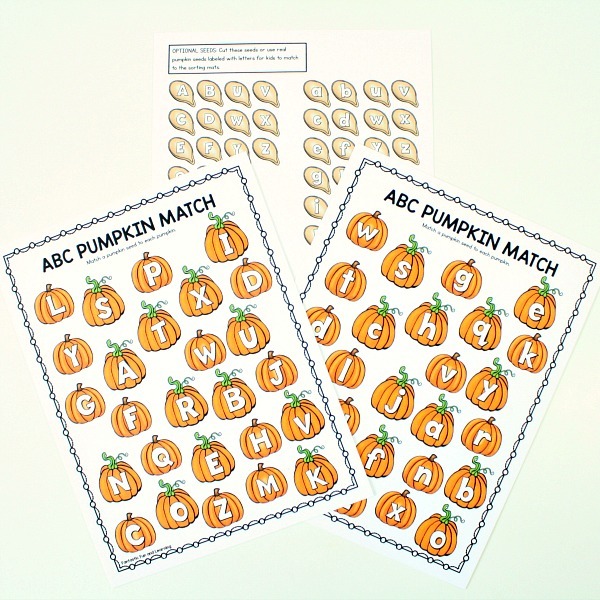 Below is a picture of the free printable ABC game pages. For more fall fun visit our fall theme resource pages by clicking on the theme image below. 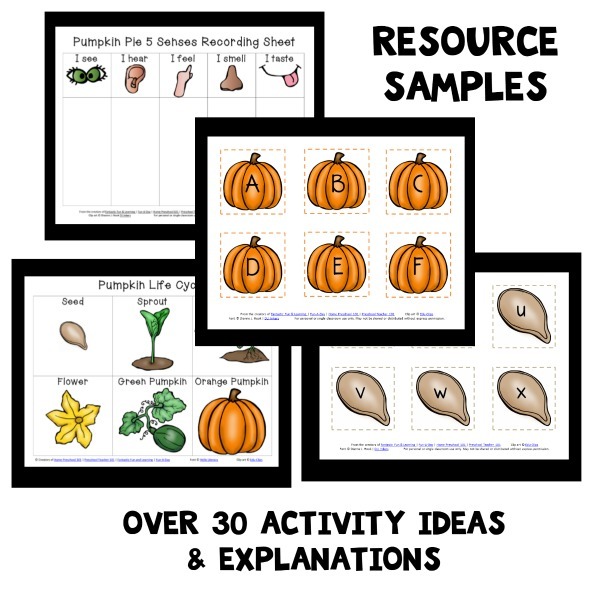 Each resource guide is full of activity ideas, printables, videos, and more for teaching your fall themes. I am not having any luck downloading the freebies. I’m sorry to hear that. Since I’m not sure exactly which point you are having trouble with I’m not exactly sure what to recommend. Please read over our FAQ regarding getting help with printables.